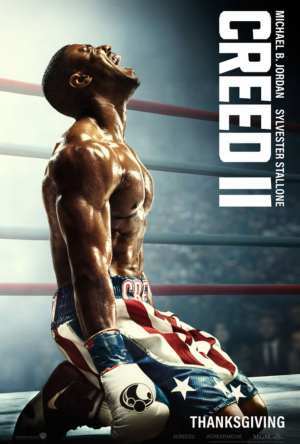 As I sat through this film expecting it to be just as great as Straight Outta Compton, I was left disappointed. The film itself wasn’t what I anticipated and I think it was because I had previously read remarks about the film via Facebook and Twitter. Now, the film did have some great aspects that made it stand out. Like Straight Outta Compton, they did an excellent job at finding a star who looked exactly like the character that was to be portrayed. 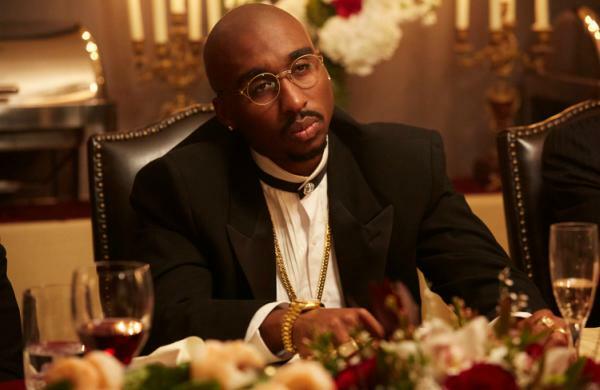 Demetrius Shipp Jr. looks very similar to Tupac or at least the closest we are going to get to him other than Marcc Rose who has played a few Tupac roles himself, one being in Straight Outta Compton. There were others here and there, but I ended up completely turned off by the film once going through Tupac’s experience during his time at Death Row Records and they brought out Snoop Dogg, Jarrett Ellis, who seems to look more like Nick Cannon as a friend of mine put it. He looked nothing like Snoop and I don’t think they thought he sounded like him either because his character was accompanied by voice overs of Snoop Dogg’s actual voice. Not to mention the many sightings of modern day technology throughout the film such as an iPhone. It then made the film feel a little too corny for me as well as for the party that I attended the film with. However, I did enjoy all the great music the film had to offer. So many of Tupac’s hits played throughout the film and we the viewers were able to get a little bit of background knowledge of some of those songs such as ‘Brenda’s Got a Baby’, ‘Dear Mama’, and ‘Keep Ya Head Up’. Now All Eyez on Me did have some pieces to it that left viewers wondering more about Tupac Shakur’s life. The film is told by him in an interview while in prison and continues through his release and eventually ends with his untimely death. At the beginning of the film, we are informed on Tupac’s parents Afeni Shakur, a member of the Black Panther Party and political activists and Mutulu Shakur, Tupac’s stepfather. We learn the history of Tupac and Jada Pinkett Smith’s (Kat Graham) relationship, which Jada Pinkett Smith told interviewers wasn’t so much the truth. “Forgive me… my relationship to Pac is too precious to me for the scenes in All Eyez on Me to stand as truth,” Smith said in a series of tweets Friday. “Pac never read me that poem. I didn’t know that poem existed until it was printed in his book. Pac never said goodbye to me before leaving for LA. He had to leave abruptly and it wasn’t to pursue his career. I’ve never been to any of Pac’s shows by his request. We never had an argument backstage. The reimagining of my relationship to Pac has been deeply hurtful.” (Complex Magazine). The poem in which she is referring to was a poem that Tupac had wrote for Smith regarding his love for her as a friend. Tupac and Smith met while both attending Baltimore School for the Arts. The film, however, portrayed the letter as somewhat of a going away letter in which he read to Smith before he left for LA. Moving along with the film we see Tupac’s start to his career as a member of Digital Underground in the early 90’s before he took his career to new heights and we began to see him gain and end relationships with the artists like Biggie (Jamal Woolard, who reprised his role as Biggie from Notorious) and we see a little bit of unknown controversy between Snoop and Pac during his time at Death Row Records. There were so many other pieces of the film the viewers were given, so I don’t want to spoil them all, I’ll let you all be the judge of the film. I think Benny Boom did a decent job directing the film as he mostly directs music videos and short films and not many major motion pictures. The downfall to this movie not being able to live up to Straight Outta Compton was not having as much help as that film did. In Straight Outta Compton, the film crew received help from the members of NWA themselves (except for Eazy E or Eric Wright who also passed in the 90’s due to AIDS), which was the driving force that made that film what it was and unfortunately All Eyez on Me didn’t have that, so I think that’s why I don’t think the movie lived up to what so many viewers like myself, thought it could’ve been. The film was decent and no, I don’t think it resembled a Lifetime movie like some people put it, but I think waiting for its release to Blu-Ray and Digital DVD or even watching it on your Fire Stick, won’t be that bad either and will save you a little bit of change. This was a great movie review. I love how the writer clearly depicts her emotions and is not afraid to express her feelings about it. I think this was awesome!! !